When you are in Indonesia, you must definitely try the snacks the Indonesians have to offer. 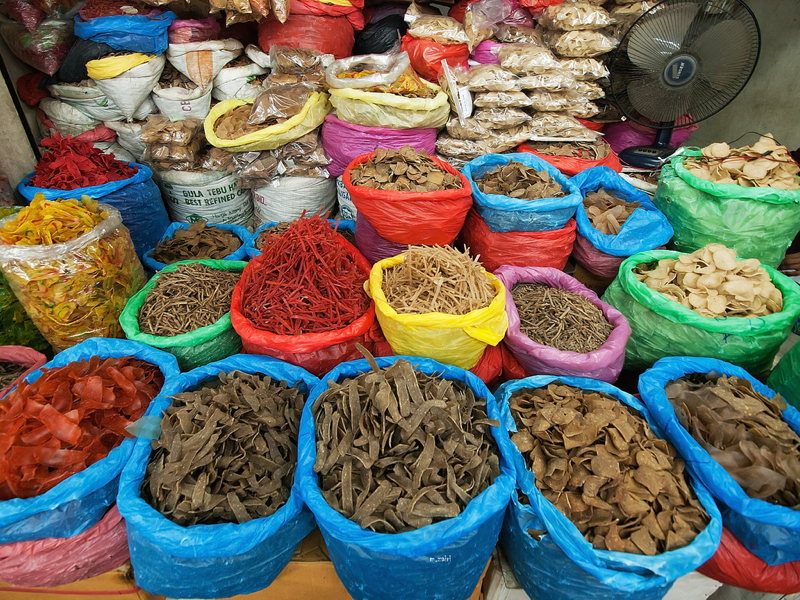 The most commonly seen is the crispy crackers called the Kerupuk or Kroepoek made from a dried paste usually from the mixture of starch and ingredients such as shrimps or anchovies and peanuts. These are called Rempeyek as they are made with rice flour, coconut milk, spices, chopped citrus leaf and salt. There are variation made from spinach (peyek bayam). Together with Indonesian dishes such as gado-gado, bubur ayam, rujak or even soto, krupuk is added as toppings. Another type called Emping are crackers made from Gnetum Gnemon or Belinjo seeds which are flattened and ground into flour for deep-frying. It is special for its slightly bitter taste. The Indonesian pancake is filled with beef and scallions. Some are with shreds of peanut while others chocolate. They are called ‘Martabak‘. 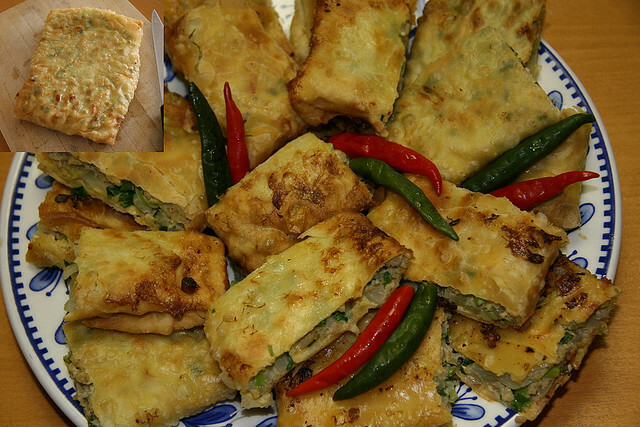 Whether it is the sweet or the savoury, Martabak is a rich-flavoured pancake-like item. Toppings are added according to your personal preferences: butter or margarine, chocolate or cheese flavors. You can choose from chocolate sprinkles, sweetened condensed milk, ground peanuts that are coarse, banana and sesame seeds. The egg martabak is a crepe-like dish with egg filling. Duck eggs are used, with onion, cooked ground beef, green onions and seasonings. Like a thin filo pastry as a ‘skin’ made to hold the egg mixture with quick folding to retain a rectangular wrap shape. Served with pickled diced cucumber, and a special mixture of palm sugar and dark brown sauce. Another pancake called ‘Serabi‘ or Surabi is made from rice flour with coconut milk. Not all the provinces serves the same thing, rather each has its own recipes as their locals made them depending on the kind of ingredients that is possibly available to them. Risoles are spring roll which are usually fried with breadcrumbs. Like the Pastel which is a fried flour dumpling, it is also filled with meat and vegetables. Rujak is better to be described as a vegetable or fruit salad. You can find a mixture of tofu, vegetables, black fish paste sauce. A good rujak is sweet yet spicy with ground peanut added. It has a unique taste and definitely a recommended snack to try. 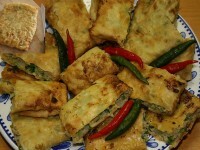 Otak-otak or fishcake is made only from Spanish mackarel fish paste. Milkfish is alternatively used too. The special about Otak-otak is its spices. What you see when cooked is the fishcake being wrapped in banana leaves. The method to cook it is by grilling it. Otak-otak is served with a peanut sauce in Indonesia and you can find it almost in any region there.